MIKO Kitchen Professionals carefully selects strategic partners after much consideration. This has many advantages for customers. 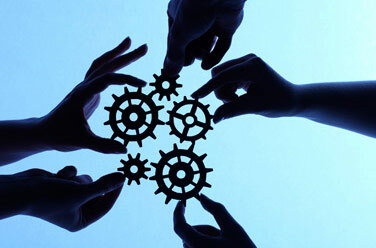 Close cooperation with quality partners guarantees smooth information flow, order execution and goods dispatch process. This has a positive impact on the quality of project execution and equipment delivery. It is also important to note that we obtain preferential terms from our strategic partners for goods purchase which we pass onto our customers. Our employees undergo training in manufacturers' plants on a regular basis, where they gain necessary knowledge and skills. Furthermore, MIKO Kitchen Professionals has a spare parts warehouse in Moscow and Sochi enabling us to provide our customers with urgent spare parts in the shortest time possible. A prerequisite of long-term cooperation with quality manufacturers is mutual respect and loyalty from both sides. The main strategic partners of MIKO Kitchen Professionals are such well-known manufacturers as: Aichinger, Hobart, MKN, and Viessmann. The links below provide additional information about each of these partners.